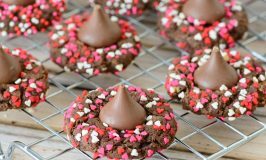 Earlier this week I shared these Better For You Gluten Free Chocolate Valentine Cookies so that you could indulge your sweet tooth with a little less guilt and while I can’t claim that they are paleo compliant or even healthy, they are really tasty and at least better for you than something full of refined sugar and flour. 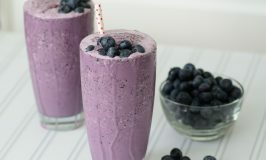 If you couldn’t bring yourself to indulge in those cookies, no worries, I have something much healthier and just as tasty! 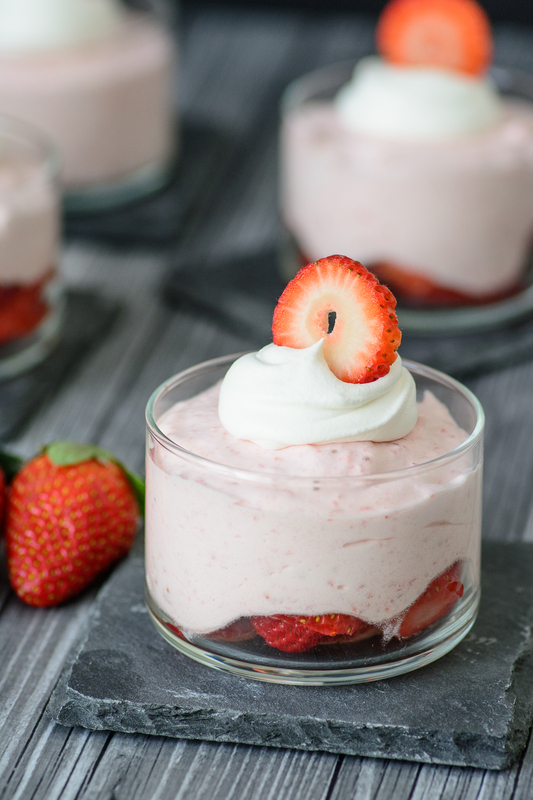 This 3 Ingredient Strawberry Mousse can be made with numerous substitutions to make it compliant to almost any diet out there. I made 3 versions and they all turned out great. On the first one I went with traditional cream, organic pure cane sugar and fresh strawberries. It was heavenly, although not paleo compliant. 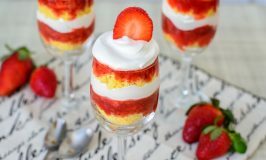 The next batch I made I used full fat coconut cream, sage honey and fresh strawberries. Holy cow! It was just as delicious! It had a slightly different taste than the first one mainly because of the honey. I happen to LOVE honey, especially sage honey, but if you are not a fan of honey, definitely go with the organic cane sugar or maple syrup for a more traditionally sweet taste. The last batch I tried I used pure maple syrup, coconut cream and fresh strawberries. This was by far my favorite combination! 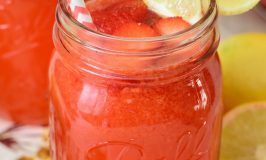 The maple syrup and strawberries combined in a way that left my taste-buds begging for more. 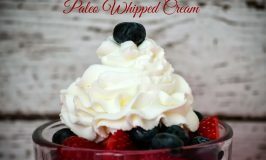 This is such a simple dessert to whip up when you are craving something sweet and because it uses simple, fresh ingredients, it’s pretty healthy too. Ready to see how simple it is? Pour cream into a bowl and mix on high until soft peaks form. 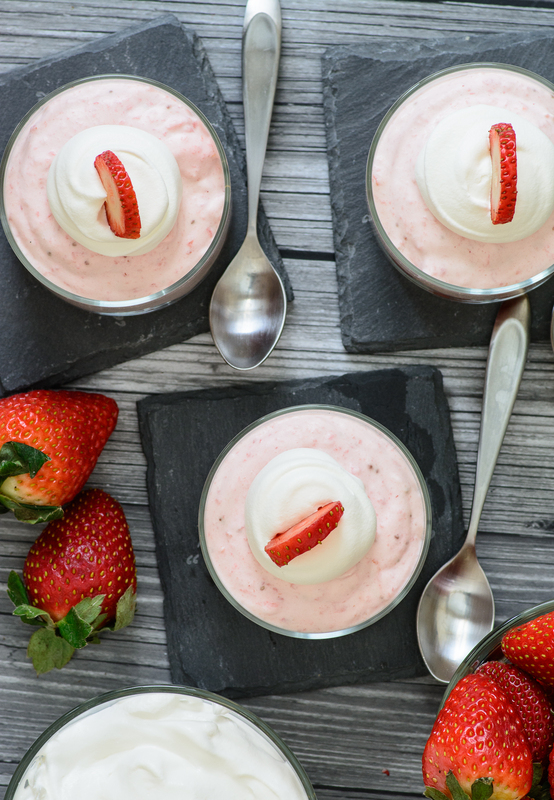 Once you have soft peaks, gently fold the strawberry puree into the cream, until everything is well combined. Mousse can be stored in a covered container for up to 3 days. Pretty simple right? Hope you enjoy it as much as I did! 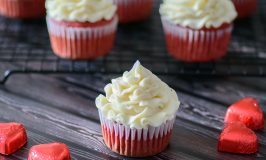 Do you have a favorite healthy valentine treat? Share it with me in the comments below!